This TCPi driver focuses on providing the infrastructure and capabilities to support the right workforce, efficient workflows, and a high value product. Success is seen in positive patient experiences, staff that experience joy in their work, and resources for investing in the practice’s future. To support your transformation goals, review and select from the resources presented below. 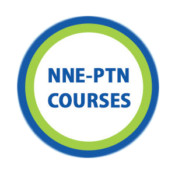 NNE-PTN members can access the following courses to support their practice transformation goals and aims. You must have an account and be logged into the QC Learning Lab to access these. 4) Teach how to create sustainable efficiencies in order to be successful in a quality based payment model. These concepts will be taught through a combination of interview style and webinar based modules. The courses directly align to drivers in the TCPi Change Package that directly impact the financial transformation that is needed for a practice to move from a fee-for-service model to a quality based payment model and be successful. Practice providers, practice staff, and Practice Administrators that are in the process of moving from a fee-for-service model of payment to a quality based payment model. To take this course, click here. Conflict is inevitable; how we navigate conflict affects the wellbeing and productivity of ourselves, our teammates, and our practice. In this module, Derek Ahl and Sarah Lawrence of the Daniel Hanley Center for Health Leadership facilitate an exploration of conflict and strategies for managing it in a confident and productive manner. The module examines the characteristics and impact(s) of conflict, as well as its potential value. Different styles of approaching conflict will be discussed, in order to help learners recognize and better understand their own tendencies in response to conflict, as well as those of others. Upon completion of this module, participants will be more aware of their options when it comes to navigating contentious situations and will have increased knowledge and skills to move through these situations with intention. Intended Audience: Practice providers, practice staff, practice administrators and various other health care related fields. This learning module is intended for the NNE-PTN practice facilitators, quality improvement coaches, practice providers, practice staff, and practice administrators. The purpose of this learning module is to introduce users to the claims data report suite, to build their comfort with using the suite, and to empower users to pull relevant and valuable information from the suite post training. The report suite is a valuable tool to investigate trends in membership, cost, and utilization both for specific practices within the NNE-PTN and to compare populations. The beginning units are introductions to the report suite: logging in and how to unlock the relevant information. The subsequent units walk through each of the report suite sections outlining the contents and giving examples of the value gained from the report suite data. The majority of each unit is dedication to identifying the information and specific measures in each section. Additionally, each unit will have an example to show how the suite can be used to pull specific information. There is an assignment at the conclusion of each unit to provide a practical application for the information presented in that unit. This online learning module is part of the NNE-PTN Series with the Daniel Hanley Center for Health Leadership. The module explores Systems Thinking and offers providers and their teams new perspectives to help manage the health of the practice populations. The TCPI drivers and change tactics will combined with the concepts of systems, causal relationships and other tools to improve practice capability in Population Management. Practice providers, practice staff, and practice administrators and various other health care related fields. You must have an account and be logged into Healthcare Communities® to access the content listed below. Provided courtesy of American Medical Association. Four key elements will optimize success in the organization of your practice: leadership, teamwork, communication and metrics. Make the shift to value-based care and benefit both your practice and your patients. 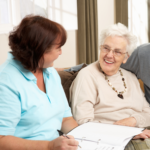 Enhance the patient experience, increase patient engagement and improve practice efficiency. 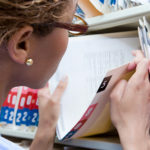 Eliminate waste in the workday and equip the team to spend more time on patient care. You must have an account and be logged into ACP Practice Advisor® to access the content listed below. Identify tools and resources to support the basic operations necessary in a practice. Take action to decrease waste and improve care by reducing unnecessary testing in your practice. Coding correctly is important for a lot of reasons, but at the most basic level, coding is how you get paid to do what you do.